Skin much softer sense using filter! This is our third replacement cartridge. we change them about once a year. We live in a hard water area and the difference in softness is amazing. Also, we have noticed that the itchiness we had before the filter has gone. Disappointed with customer service. Product did not arrived in the time expected. Was not offered a refund on postage. I am a long time customer so was not about the small postage sum but about the appreciation of the fact I am loyal. ** Reply from PS ** We apologise that your order did not arrive on time. As per our emails, you had omitted a line from your address, that's why it took Royal Mail a little longer than usual to get to you. But you are right, you are a loyal customer. So we have now refunded the postage. This is the second time I buy a shower filter from pure showers and I love it and feel the difference instantly! I highly recommend it! Been using this filter for a few years. When my head starts to itch, it's time to get a replacement! Brilliant. As good as always, it's my third filter. It does require a few minutes for surplus dust to clear. Good product. Does what it says on the tin. skin doesn't itch when using this shower filter. I'm sure the cartridge is fine but I cannot get the filter open to replace it, any suggestions guess its the limestone ** Reply from PS Team ** Thanks for your review Sue. Yes, sometimes it's a little difficult to open the shower filter (especially if you've not changed the cartridge in a while) because limescale inside can settle. Just spray a little limescale cleaner in the middle joint. Leave for a bit and try again. This usually works. Does the job you said it would. Good product. This is the 4th or 5th replacement cartridge we have bought and we're happy with the product. This time round something went awry with delivery but Pure Showers were very helpful and we have now received our latest order, pity Royal Mail didn't achieve the same level of service. 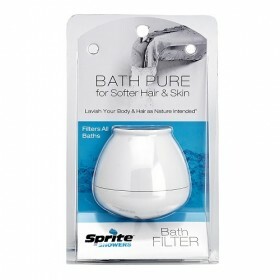 Our skin is much less itchy since using the slimline shower filter, skin is softer and scalp less itchy. I wouldn't be without the shower filter now! Quick delivery,product as expected to be. Excellent product that really improves the quality of the water and my daughter has said that the water is less harsh on her hair now. Removes the smell of chlorine in the shower, very pleased with the results. 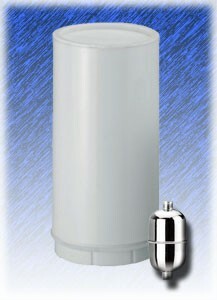 Since I started using the shower filter my skin no longer itches, it is like taking a shower in rainwater! Before I used the filter I used to suffer terrible itching, it's amazing the difference. We found that after four months the filter needed replacing as the itching came back! My skin has stopped itching since I started to use a shower filter. It's like showering in rain water! 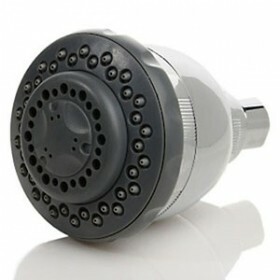 We have quite hard water in Dorset, and your filter has made a big difference to our showering experience. I bought one for my daughter and her family last year and they have been amazed at the difference it has made. Thanks for a great product! Definitely feels different now showering very pleased with the product, will be buying again! No longer any chalky residue on taps and shower fitments. Less chlorine in water has helped my psoriasis. Excellent purchase. I like the reminder to change my filter - saves me worrying about it. Thanks, great service. I really can't fault the service but even after about 3yrs of using this product I'm not entirely convinced it is worth the money. We have very hard water, my understanding is that the filter removes limescale and yet the shower head still needs de-scaling as do the shower surrounds, all these after passing through the filter. As for simplicity, easy of use and customer service I'd award 5 stars. 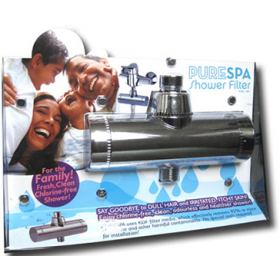 *** Reply from PureShowers.co.uk *** : If you are living in an extremely hard water area, the shower filter will continue to help to remove hardness from your water but unfortunately it can not remove it completely. 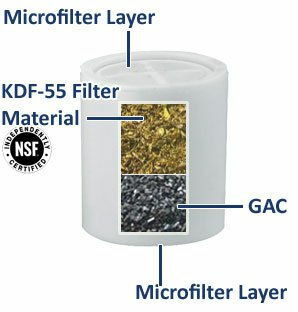 But please rest assured that our shower filters are not only sediment filters, but they are also working to remove chemicals such as Chlorine from your shower water. 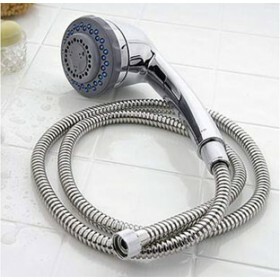 Leaving you pure filtered and healthy water to shower in.